Maile came into the Fort yesterday morning for her assessment. 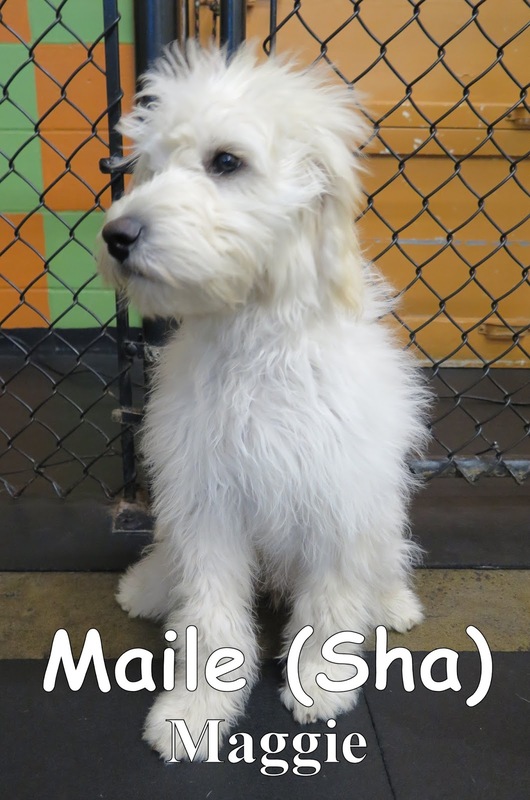 She is a four month old, fourteen pound, Goldendoodle. Maile joined our medium pack, where she met her doppelganger and new best friend Lucy. Maile spoke great dog, and played well with the other members of the pack. We look forward to seeing her again soon.